Found throughout the open landscapes of the Americas, the Burrowing Owl is a small, long-legged own that can be found in all types of vegetations including grassland, rangeland, agricultural areas, and even deserts! They nest and roost in burrows, like ones that are dug by prairie dogs. Unlike most owls, they are actually active during the day although they do avoid the midday heat. Hunting is usually done from dusk until dawn as they can use their night vision and hearing to their advantage. 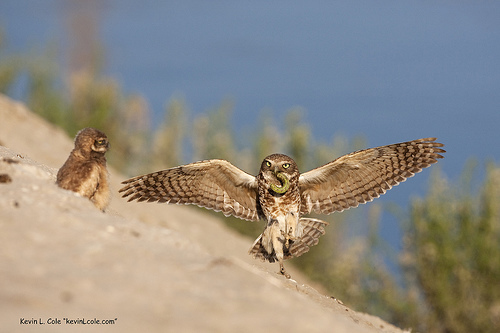 Burrowing owls have bright yellow eyes. 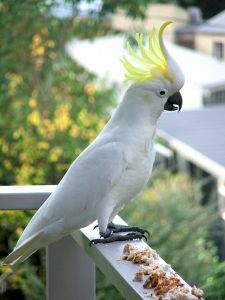 Their beak can range between being yellow or green, depending on the subspecies. They have a flattened facial disc and lack ear tufts. The owls have prominent white eyebrows and a white patch at their chin. They can expand this during certain behaviours, such as when they bob their head when they are aggravated. Adult owls have brown fur with white spots on their upper parts. Their chest is white, although sometimes they do have brown spots or bars. Juvenile owls look similar, but they lack most of the white spots and brown bars. Also, young owls have a buff bar across their upper wing. Regardless of age, all burrowing owls have greyish legs that are longer than other owls. 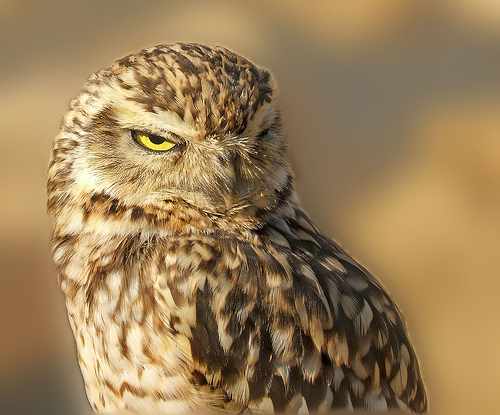 A typical call of a burrowing owl is ‘who who’. This ‘who who’ call is associated with being a territorial defence and breeding call, which is given by adult males to try and attract female owls by promising a burrow. They can also make other sounds that sound like screams, chattering, or chucks. These sounds are accompanied by a head bobbing. When they are alarmed, younger owls will give a hissing call that almost sounds like a rattlesnake. When they are hunting, they wait on a perch until they have spotted their prey. When they have spotted their prey, they either swoop down onto it or fly up to catch insects that are flying. Sometimes, they even chase prey on foot across the ground! They eat a variety of foods, including invertebrates, small vertebrates, insects, and small rodents. They are fond of termites, katydids, and Jerusalem crickets. Burrowing owls are listed as an endangered species n Canada, threatened in Mexico, and is a species of concern in the west coast of the USA. They are also a endangered species of Colorado. 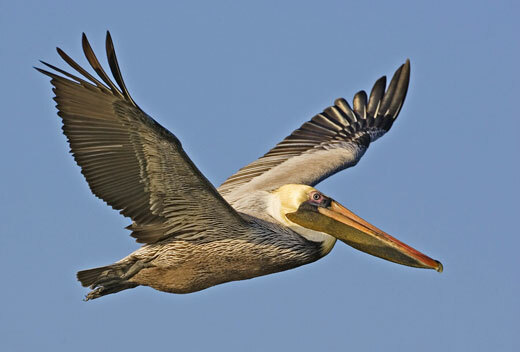 They are protected in the Migratory Bird Treaty Act by Mexico, Canada, and the USA.